Guide on how to reach Positano from Ischia including advice on hydrofoils and alternative options via Capri and Sorrento depending on the desired date of travel. There are various ways to get from Ischia to Positano depending on the time of year and also the time of day you wish to travel. This is perhaps the easiest option. Roughly from Easter to the middle of October a company called Ischia Cruises offers day-trips to Posiano and Amalfi on Thursdays and Sundays only. 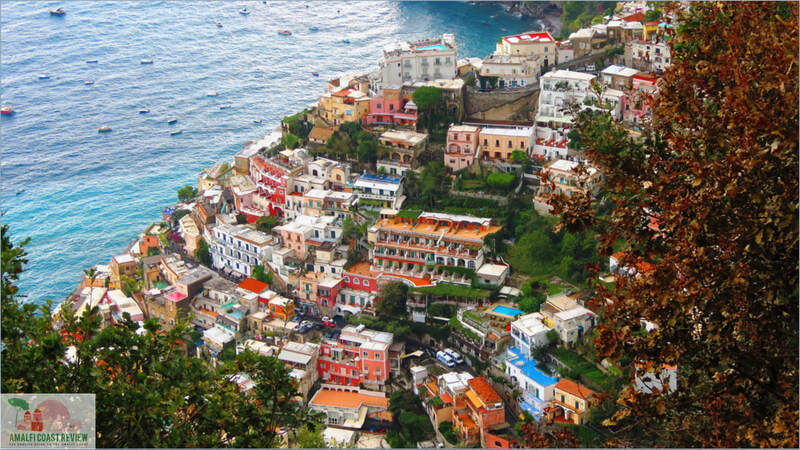 You don't need to buy a ticket for the whole excursion which also stops in Amalfi before returning to Ischia, instead you can simply buy a single ticket and get off in Positano which is the first stop. The price for a single adult ticket is €24 and there are various departure times. This is the best option if you want to travel to Positano in the morning. ​Please click on the green button below for full details. From the middle of June to the middle of September there's a direct hydrofoil service from Ischia to Positano offered by a company called Alicost. This is a daily service leaving at 16:20 from Ischia Porto and arriving at 17:20 in Positano. Please see green button for more details. It could be the case that you want to travel to Positano in the morning on a Monday, Tuesday, Wednesday, Friday or Saturday which means options 1 and 2 wouldn't be available. That being the case you can take the Alilauro hydrofoil that leaves Ischia Porto at 10:30am every day (from Easter to the end of October) and arrives an hour later in Sorrento. Then from Sorrento you can take a bus (journey time of 1 hour to an hour and a half depending on traffic and time of day) or a taxi with a slightly shorter journey time. We can also offer private transfers for this option - we collect you from your hotel in Ischia, take you to Ischia Porto, provide you with the hydrofoil tickets for the crossing to Sorrento and have a driver meet you in Sorrento who then takes you to Positano. For a quote please send an e-mail to info@ischiareview.com stating the date and the number of passengers. Please see green button below for details of hydrofoil from Ischia to Sorrento. Ok so you want to travel to Positano on a Monday, Tuesday, Wednesday, Friday or Saturday but you don't want to take a bus or taxi to Positano from Sorrento. In this case you can take the morning hydrofoil from Ischia to Capri that leaves every day at 10:30. In fact this is the same hydrofoil that continues on to Sorrento but it stops in Capri first, arriving there around 11:15. There's no onward service from Capri to Positano until the afternoon at 16:25 (arrives in Positano at 17:15) or 17:15 (arrives in Positano at 17:40 so shorter journey time) but there are several places in Capri's Marina Grande port (the port where you'll arrive from Ischia) where you can safely leave your luggage. You can then spend the day exploring Capri before sailing on to Positano. The advantage of this option is that you don't need to wait for a bus or pay for a taxi from Sorrento to Positano which can get expensive. Please see the green buttons below for more assistance on this option.